Tool steel machining offers some very unusual machining challenges. AT Precision has extensive experience with machining components from tool steel. We know how each grade of tool steel reacts differently to heat-treating (for example, a part becomes scrap if your machining supplier leaves an incorrect amount of material for finishing). 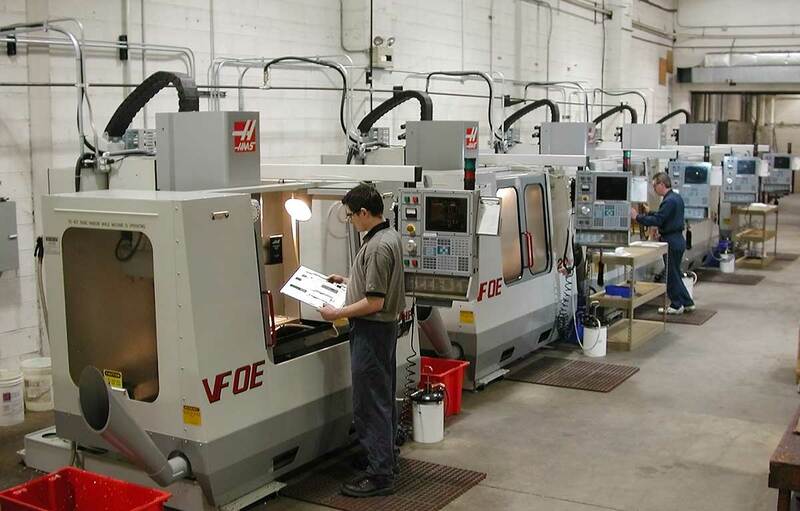 We developed several successful tool steel machining processes that allow us to machine tool steel at fast feed rates, even running without coolant, giving AT Precision a tremendous advantage over others who are still machining tool steel at conventional speed & feeds. Tool steels are known for their toughness, hardness, resistance to abrasion, and the ability to hold a sharp edge. Common grades of tool steel include O-1, A-2, S-7 and D-2. "Tool steel" refers to steel developed for specifically for tooling applications. Tool steels are generally machined in their unhardened state. After machining, most tool steels are then heat-treated and either used as-is or finished further (usually by some form of grinding). Generally speaking, tool steels are very difficult to machine even before heat-treating. We have developed several different processes for hardening that require cycles of both heat-treating and deep freezing, giving our customers harder and more stable finished product. We have also developed a method for finish turning that has eliminated grinding operations. The two main benefits of this is that we can keep finishing costs down due to the fact that this is a much faster operation than conventional grinding and the customer get a better product because the surface is actually a little harder making it a much better wear surface. For tool steel machining pricing, please share details about your project with us. We will provide a no-obligation quotation as quickly as possible.